Hey everyone! It's been a while since I did a tutorial thursday, mainly because I keep forgetting to post tutorials on thursdays (or tuesdays) because I'm terrible at remembering things! Today I have a tutorial I created for Barry M. I decided to try something a little different, and I'm not 100% sure it worked but I'll let you be the judge. Tutorial steps will be after the jump. 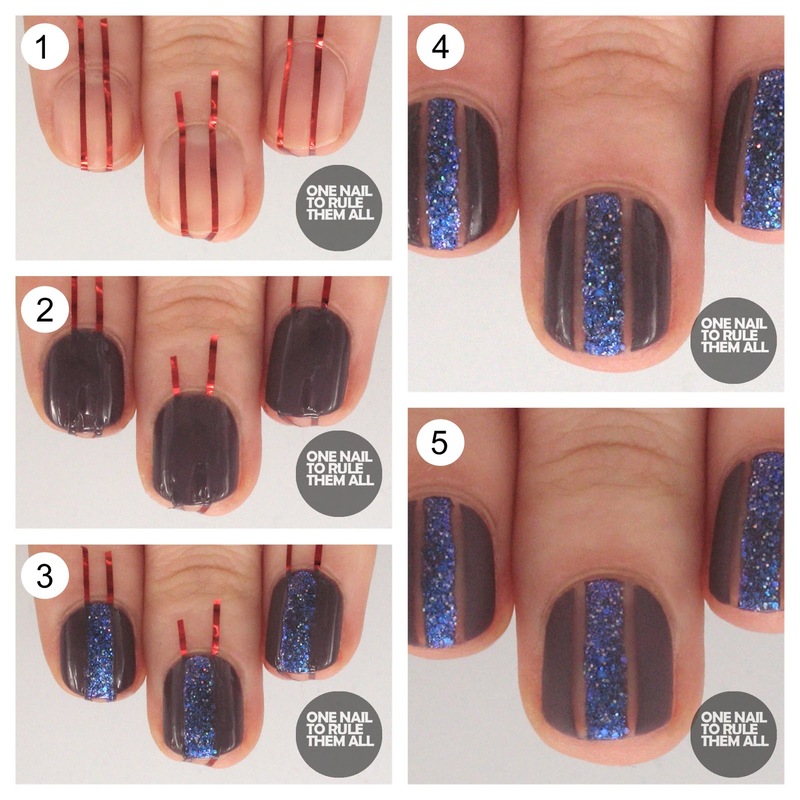 Step 2: Paint over your nail and the tape as you would normally. I still did two coats but you can just do one if you prefer. That color combination is just stunning!